Abstract art takes you away from the techinical issues of life and it creates an otherworldly puzzle to see. 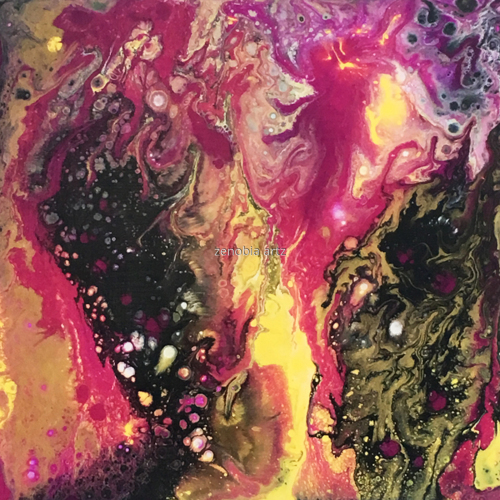 Poured Acrylics, adding one color at a time, rotating board to get this mix.Framed in a black frame, used a heat dryer to help manipulate the paint as it flowed. 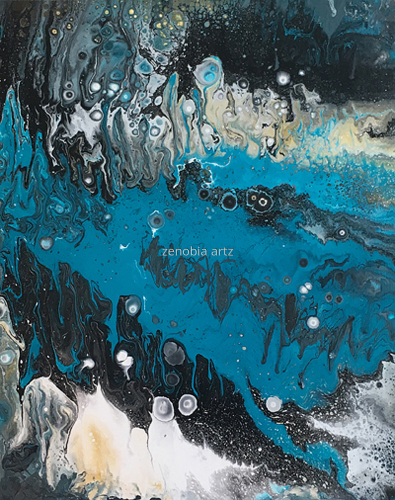 Poured acrylics, one color at a time for definition. Poured on cotton primed canvas. Double Varnish.Painting category. 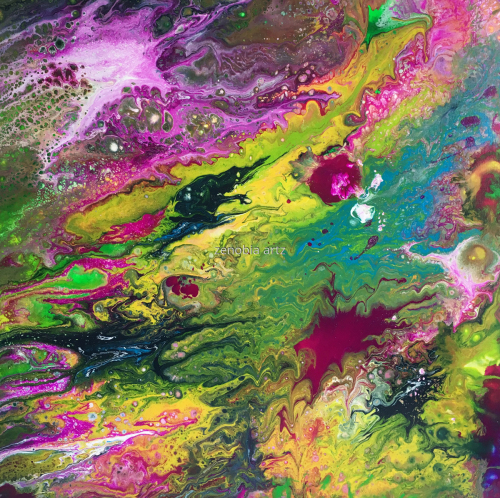 Acrylic, poured paint, multi-colors. This is where I imsgine the faries live, in their special magical forest. 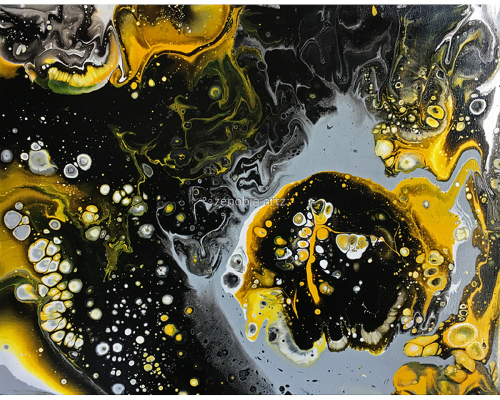 Acrylic pour-fluid art method, it is on canvas. Have you ever been to a black sand beach? It is beautiful to watch the waves come in and scatter the tiny, sandy, pumice stones. 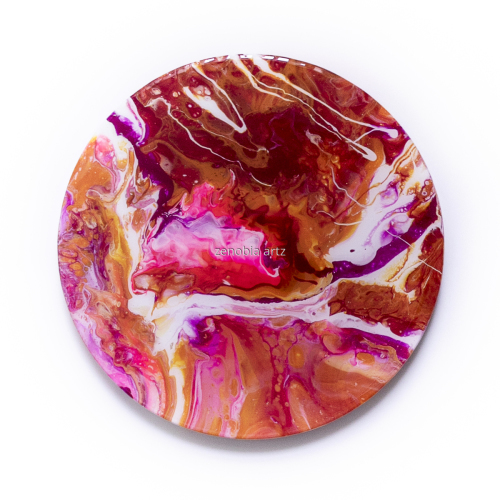 Paint pour on a round canvas. Reds, Pinks. It is always lunchtime somewhere! Pouring in the round is a challenge, it is important to make sure the design is viewable from any angle, as the round canvas is rotated.